Conwy Castle is in the town of Conwy (who’d have thought?) and is a massively imposing structure that still has its walls in tact. The Castle was built by Edward I during his, quite frankly, very rude conquest of Wales. At the time of building, it was one of the most expensive castles constructed. Clearly Edward thought a great deal of himself. It was built from lime and sandstone and it literally towers over the town. The sight of Conwy Castle, when approachibg the town, really is something special. 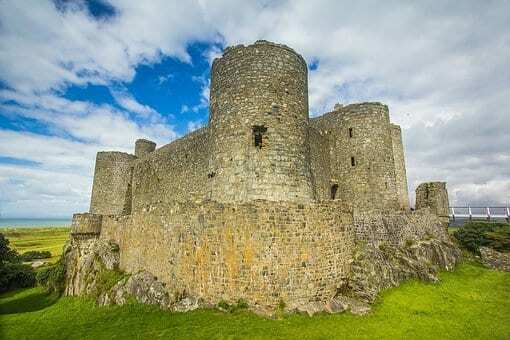 The castle was built around 1283 and it sits on top of a 200ft rock, jutting por across Cardigan Bay. The hill leading to the town of Harlech is the steepest in Britain and if that doesn’t put you off invading, then nothing will. 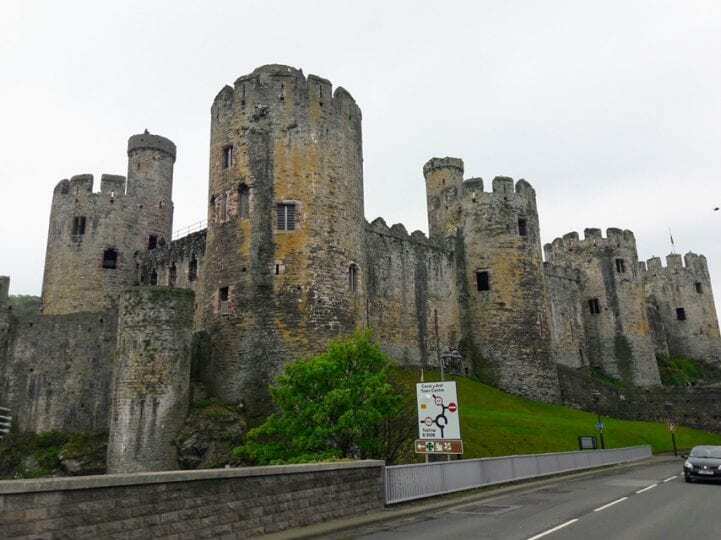 The castle was famously used as a base for the all round Welsh legend, Owain Glyndwr, as he led the revolt against the English. The town in which it sits is on the North West coast of Wales on the island of Anglesey. Work at Beaumaris was forced to stop when English forces invaded Scotland and they need to use the money up north. 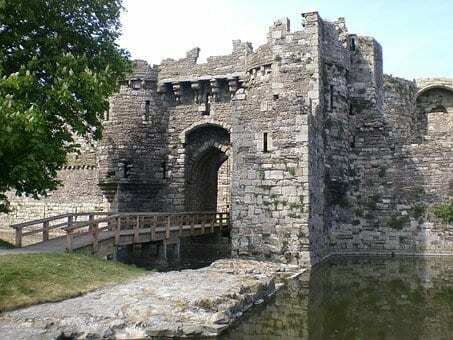 Anyway, even after the pesky Scots were taken care of and building resumed in Beaumaris, the castle was never completed. I believe the lesson we can learn from this is that invading Scotland is a VERY BAD IDEA. Guess what? You got it…Eddie’s been up to his old tricks again. Didn’t that man ever stop? 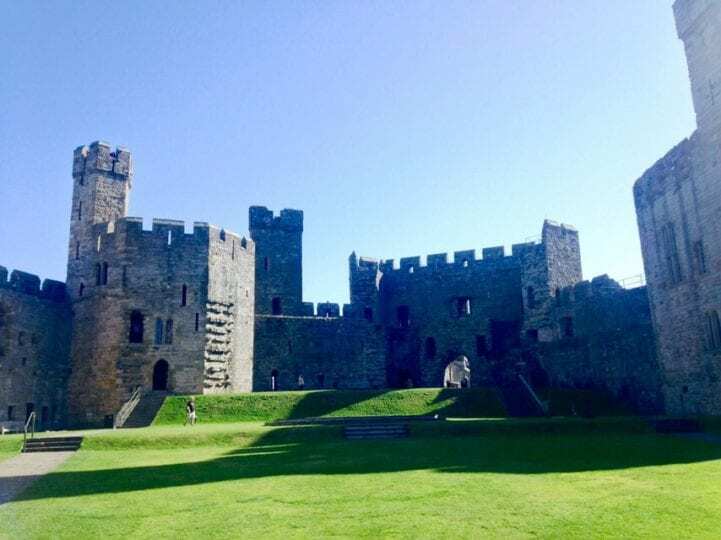 To be fair to him, he builds a pretty sweet castle and Caernarfon is possibly the most impressive of Edward’s four castles in North Wales. Caernarfon Castle is the birthplace of the original Prince of Wales, no, not Charles, but Big Eddie the first’s son, Wee Eddie the second. The current Prince of Wales’s investiture was also held at the castle in 1969. Why mess with tradition, eh? Caernarfon was granted UNESCO World Heritage site stays in 1986. It was a particulate busy year for Welsh castle inspections. This is the only UNESCO World Heritage Site in North Wales that isn’t a castle. And, as far as I’m aware, it wasn’t built by Edward 1st. So we can all be grateful for that, can’t we? 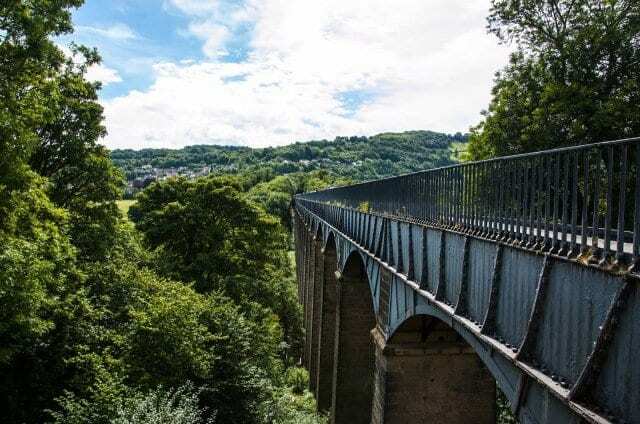 The aqueduct was designed and built by Thomas Telford and William Jessop and carries the Llangollen Canal to the River Dee. It consists of 19 pillars at a height of, standing at more than 100ft. The aqueduct has a footpath, so you can easily wander across. The views from the top are amazing and there are pubs at both ends. What more do you need? Poncysyllte is a Grade 1 listed building and has been on the UNESCO register since 2009.